Sometimes nothing beats a panini. With our Petits Pains you will get a crispy outside and a fluffy inside. 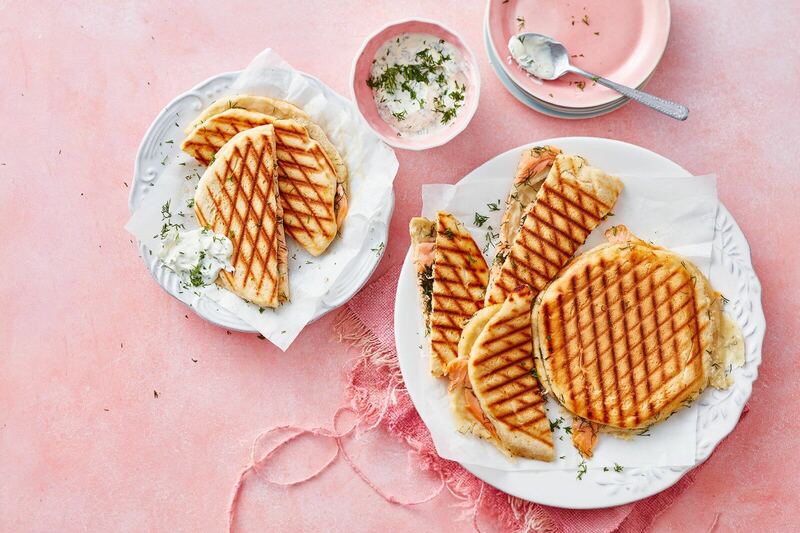 Give your panini an upgrade with salmon and dill. Open the Petits Pains White. Put some crème fraiche onto three pieces of the dough and dress with the smoked salmon and dill. Place the other three plain pieces of dough on top. Cook the panini’s in a grill for 10-15min until golden brown. Mix some crème fraiche and dill together for a fresh dipping sauce. Enjoy!